Recently I was contacted my Kim Marino, the mama behind www.thespeechmama.com. For the past 18 years, she has been working doing home based speech and language therapy-with the little ones that just came home from the hospital and are on feeding tubes to school aged children working on cognitive rehabilitation. 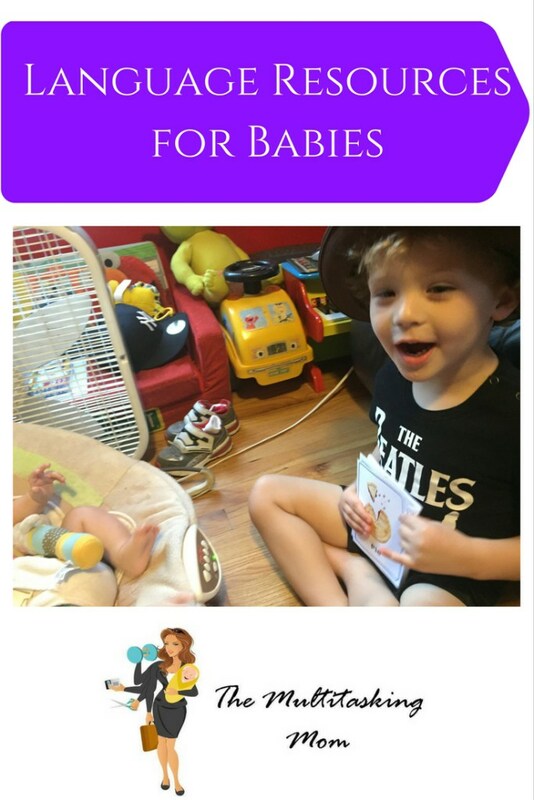 Kim has put together various resources for kids and babies to develop their language and cognitive skills. Kim asked me to try out one of her products, the MY FIRST SOUNDS AND WORDS FLASHCARDS with my little ones. This is a set of 40 flashcards which target early sounds and words which your baby can say. As parents, we are always looking for tools to help our children learn and develop. For me, especially with Hailey's hypothyroidism, we are continually looking for fun ways to develop her brain. You can read a bit about Hailey's diagnosis here. The flashcards were sent in a digital file which I printed and laminated. They include images of everyday items as well as 2 blank ones for you to insert pictures of you and your baby. The images are photo quality and the names are printed below the picture. At first I was a little skeptical at how much Hails would get out of these based on her age. I mean she just turned 4 months yesterday. But, I was pleasantly surprised by her reaction. First off, she loved looking at the pictures on each card. Then she would giggle at me as I over articulated and emphasized the sound/word on each card. After a few times playing with these, she is now starting to try to mimic the sounds. Totally impressive for a 4 month old. In addition to developing language in my newborn, I also love working on the cards with my 3 year old. With him, he will name the picture or make the sound and we will talk about the letters that we are pronouncing. He loves to help when showing the cards to Hailey, which makes this a fun learning activity that we can do all together. For example if I pick out the owl card, Tyler will name the animal. Then I ask him what sound the owl makes. Once he responds we will hoo back and forth with Hailey. Finally I will talk with Tyler about what letter starts the Hoo sound and point it out on the card. I love that this helps in the learning and development of both my kids even though they are at different stages. Both kids are entertained and help each other make it a fun activity. Although Tyler likes to point out to me that Hailey can't talk, he does get pleasantly surprised when she tries to copy our sounds. There is also a bingo game using the same words and images, but we haven't gone too far with that yet. We have been having far too much fun with the flash cards. You can go check out the flashcards here. Feel free to poke around the site and explore the other resources as well. We give them 2 thumbs up! !